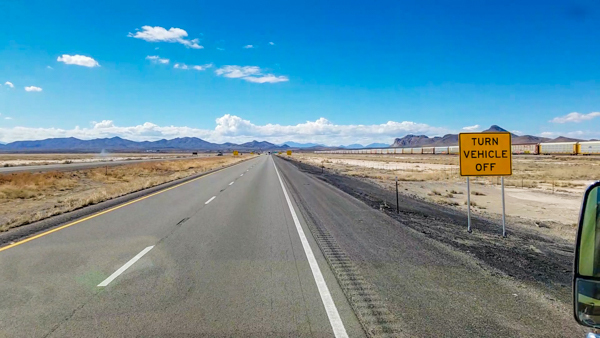 We had a tricky choice to make selecting our routing from Fredericksburg to Arizona. Our new N. Dakota friends from Hondos, Keith and Nancy, warned us that I-10 through El Paso can be a nightmare. Based on that warning, we decide to take US 285 from Fort Stockton up to Roswell. This route will allow us to make side trips to Carlsbad and to avoid I-10 as much as possible. If you are planning a trip along this route, I would encourage you to take US 285 north through Texas but also to prepare yourself. 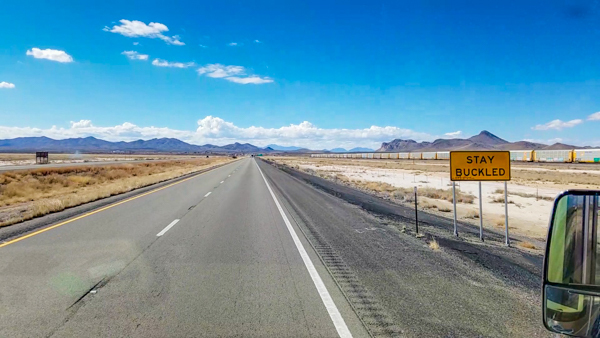 This is NOT a pretty ride unless you enjoy bumper to bumper oil equipment rigs, litter covered road shoulders, traveling slowly and absorbing bone jarring rough road sections. The traffic snarls on this often two lane road add about an hour to our trip north. 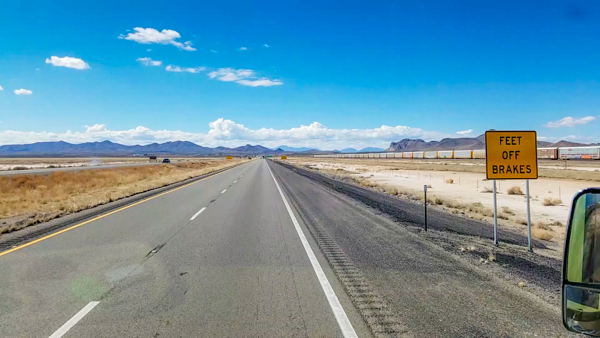 In stark contrast to our disappointing ride up US 285 is the section of Hwy 70 from Roswell to Las Cruces. 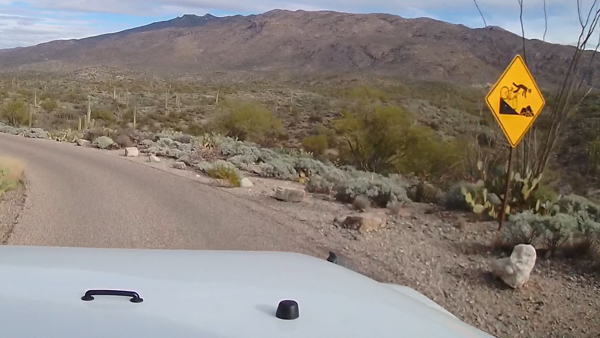 Scenic mountain views, low traffic and not too extreme grades give us a low stress ride. 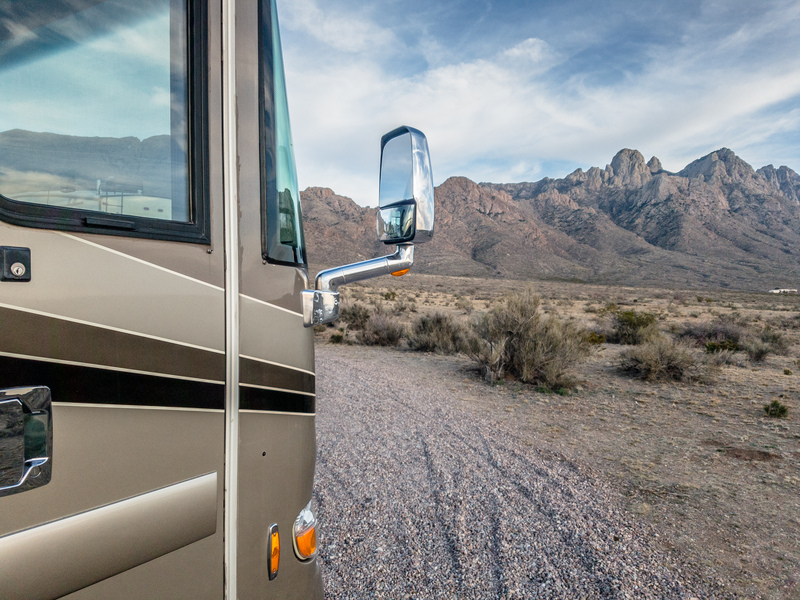 We arrive at our boondocking site just west of Las Cruces relaxed. Be aware that Hwy 70 can be closed for missile launches at White Sands. I think the sign said the closures, when they occur, last an hour. However, once we set up at Baylor Pass trailhead we turn on the TV news. Their traffic reporters are vigorously reporting a five hour closure of I-10 in El Paso for a wreck that afternoon. We avoided that nightmare. Guess we made the best routing choice today. 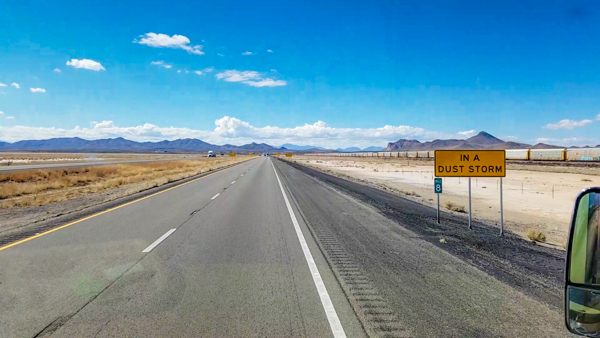 As we make our way west along I-10 into Arizona, a series of signs every few miles warn of dangerous dust storms. I was not aware that occasional zero visibility was a possibility in this area. Although the skies are clear now, I fear that in the event of a sudden, fast moving haboob I might blank out on the safety procedures. Just in case, I photo the signs for future reference. Check them out below. 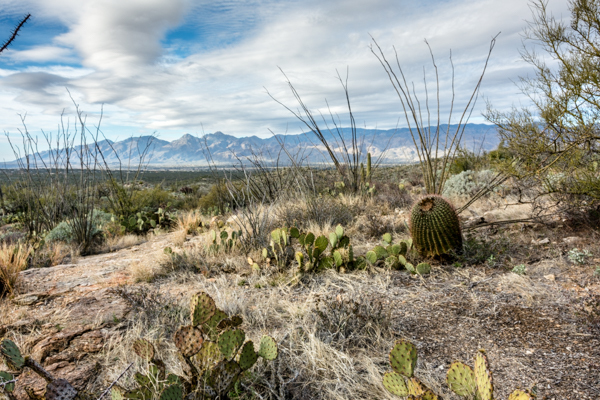 After settling in our Arizona campsite, we spend our first day here exploring the southern border of Tuscon. 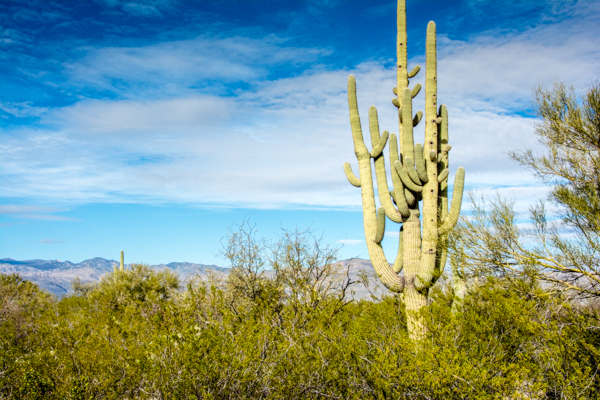 Our wanderings take us to Saguaro National Park for a warm afternoon drive among the statuesque Saguaro cacti. 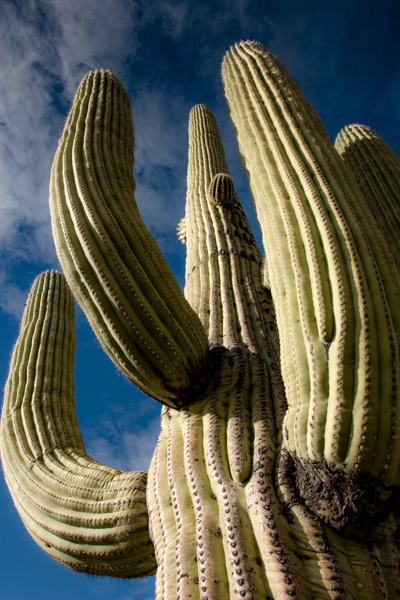 Pronounced Sa – WAH – ro, this towering cactus can grow over 50 tall and have an average lifespan of 150 to 175 years. 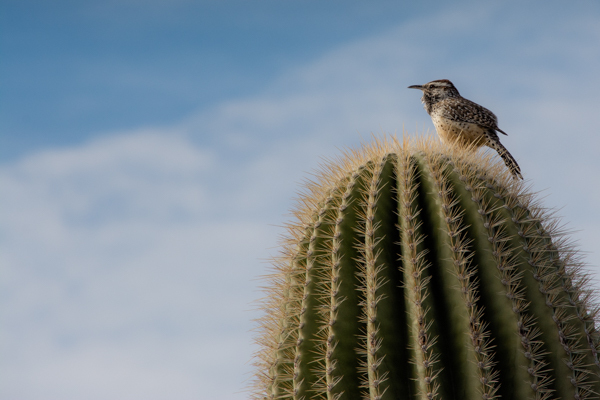 Since this plant only grows in certain parts of the Sonoran Desert, they are definitely on our must see list while here. Like me, their growing area is limited by freezing temperatures in the winter. They don’t like shivering and neither do I! How does this one deal with the thorns? Wow - that's a big one! Another scary Arizona sign - what is that biker doing? 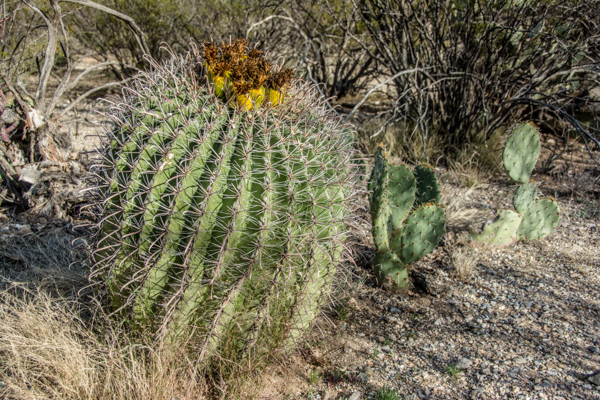 A Barrel Cactus grows towards the south - I do that too! To tour the boneyard, we have to make a reservations 10 days in advance and get a security check. We hope to do that next week because we definitely want to go there! The aircraft grave yard has a lc130 that I flew in many miles in antarctica. Would like to visit some time. So good to hear from you! I saw a Dawson Gang trip picture the other day with you two in it and have been wondering how you are. I will let you know how our tour goes – we are looking forward to it. 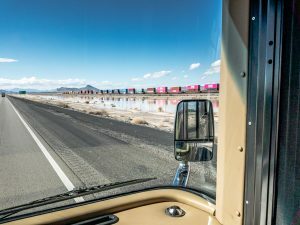 Why “Feet off Brakes,” in a dust storm? I wondered the same thing when we were passing those signs. 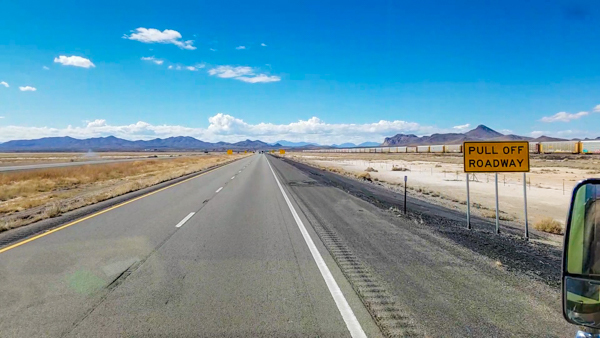 In fact in New Mexico, the signs said turn off all lights after pulling off. I googled it while we were out there and according to the site I found, you turn off lights and feet off brakes so that other cars don’t see your tail lights, think they need to follow you and wind up crashing into your car. It helps to remember the traffic on this road is pretty spread out and thin. If everyone pulled off the road immediately and stopped until the storm passed, I think it would be pretty safe. The danger is people who try to press on in zero viz looking for things to follow. Thanks for asking!